I've decided, at least for the moment, to put all my eggs in one basket. 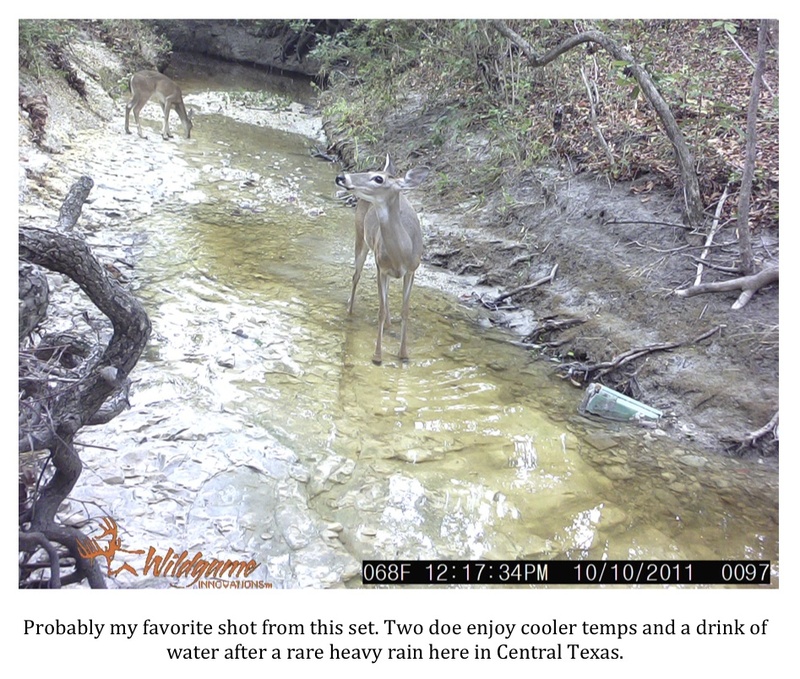 I've taken all four of my digital game cameras and deployed them in the dry creek bed in NE Bell County where I've managed to get so many photos over the last month or so. The cameras have now been set up in a sort of picket-line covering roughly a quarter mile stretch of the creek that winds very close to the locations of a couple of recent horse-kills; the suspected work of a big cat or cats. In addition, there have been several credible sightings of a pair of mountain lions in the immediate area over the last couple of months. The sheer volume of photos of other animals walking this creek seems to indicate that it is being used as a travel route. 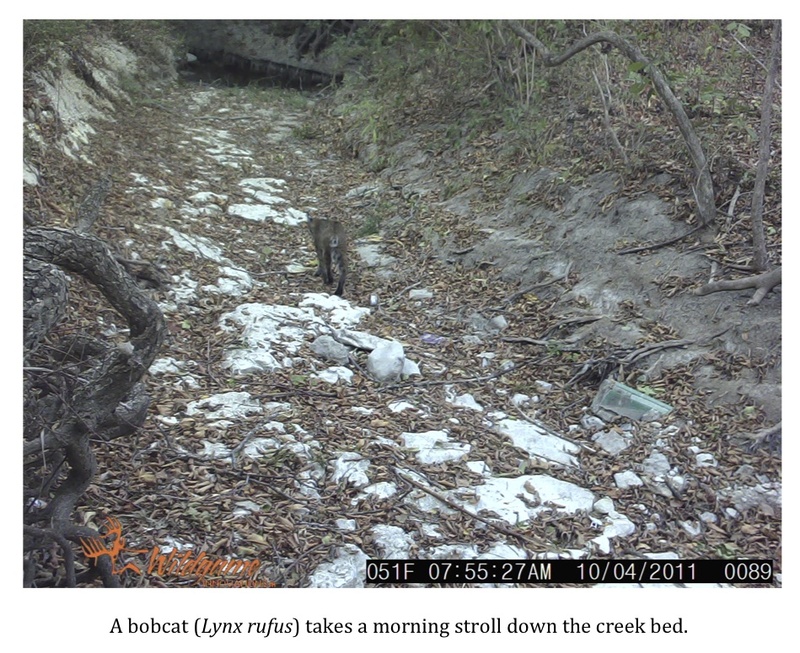 I’m guessing that, if these big cats are still in the area, they will eventually make an appearance in this creek bed. I spent the better part of the last week cleaning and checking my game cameras in the hopes of getting them all functional and ready for this deployment. As I mentioned above, I currently have four digital models: 2 Cuddeback Excites, 1 Wildgame Innovations IR2, and 1 Moultrie Game Spy M80 at my disposal but have had a few issues with two of them of late. 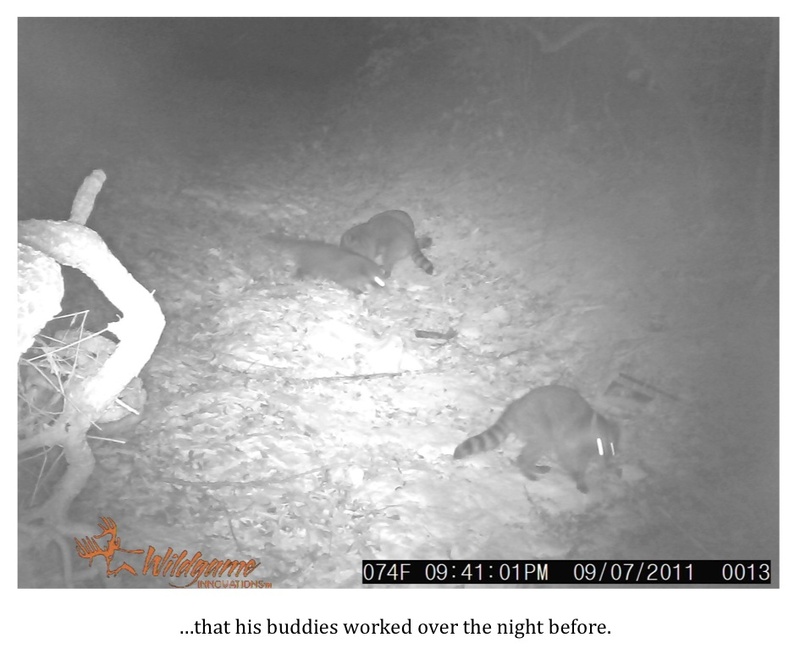 The two Cuddebacks are old veterans of the TBRC’s long-term camera project: Operation Forest Vigil. They were very high-end cameras 6-7 years ago but are beginning to show their age a bit now. One of these Cuddebacks was the camera that failed to capture any photos the last time around at the West Bell County location. The Compact Flash card seemed to be fine when I checked it but the camera gave me some trouble as I tried to program it this time around. I’m afraid this one may be on its last legs. The other Cuddeback keeps chugging right along, however, and continues to take some nice photos. 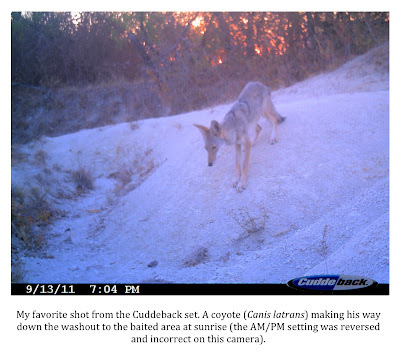 It is the camera that has taken most of the photos of coyotes over the last few months in NE Bell County. The IR2 is fairly new but is the lowest end camera I have. It cost me only about $60 at Academy. 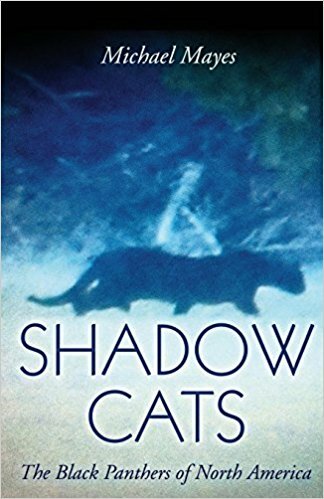 It was hurriedly purchased, on a tight budget, and placed in the field after I was contacted by a property owner who had lost a horse on her property to what they suspected was a big cat. I didn’t want to lose the chance to access this private property in an area where cougars were being sighted, and as my other cameras were already deployed, I ran and picked this one up. Ironically, despite its low cost, it has been the most productive of the bunch the last few months. Whether this is due to good performance or it having been placed in the best location remains to be seen. 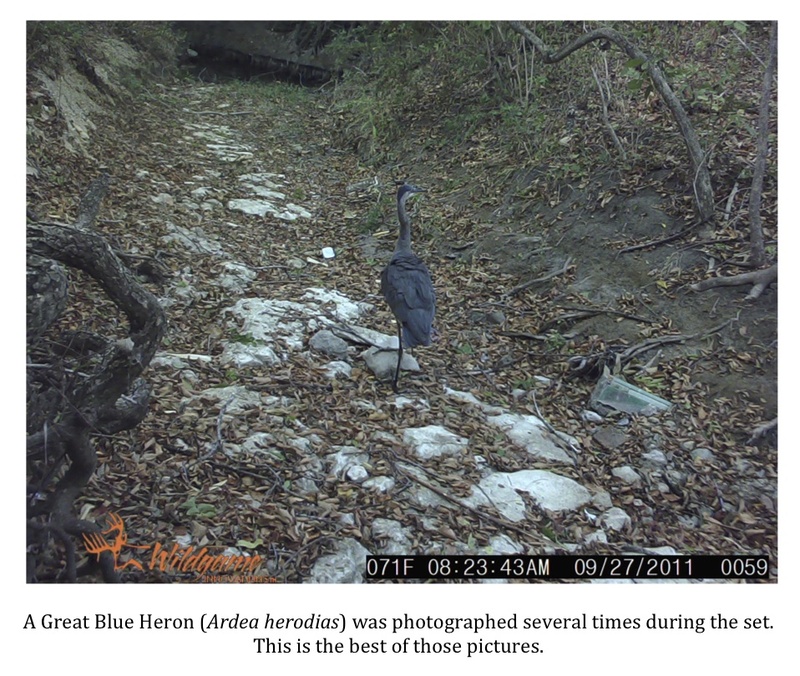 The IR2 is the camera that snapped the photos of the various animals walking the creek bed in NE Bell County (see my last post). It is pretty solid when it comes to snapping daytime pictures but has an extremely limited range at night as well as a slow trigger speed. 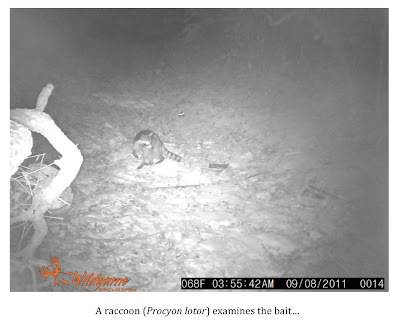 There is one photo snapped by this camera, that I have not published, that may be of the mountain lion I’ve been seeking; however, the animal is on the extreme periphery of this camera’s nighttime range and I just can’t tell for sure. I’m pretty confident that if I’d had one of the higher end cameras up at this spot I would have captured a better photo that would likely have allowed me to positively identify this large mystery animal. 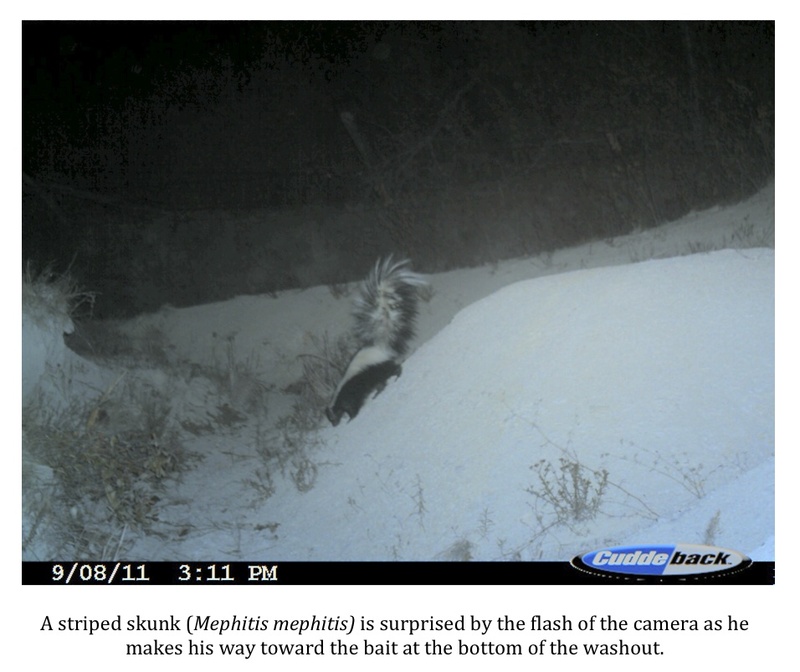 The Moultrie Game Spy M80 is probably the best camera I have right now. It is a solid mid-price range camera that cost me about $115. It has photo, video, and sound capabilities. It performed great for the first two sets I had it in NE Bell County but took no photos this last time after being out in the field for a month. After cleaning it up, I found that I had a bad SD card. I have replaced the card and the camera seemed to be functioning well during tests this week. I’m hopeful it was only the card that was causing the camera to fail this last time around. This being my best camera, assuming it functions properly, I have placed it in the location previously occupied by the IR2 camera that produced so many good photos. I’ve got my fingers crossed that this higher end camera functions properly and catches more photos than the lower end IR2 was able to get. I’ll let the cameras “marinate” for a month or so and see what happens. 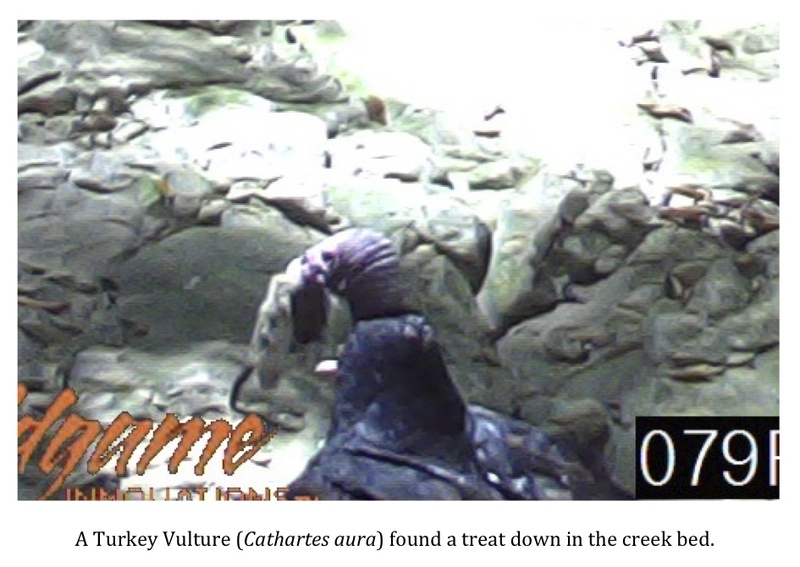 I’ll likely be retrieving images around the Thanksgiving Holiday. I’ll let you all know what I find then. 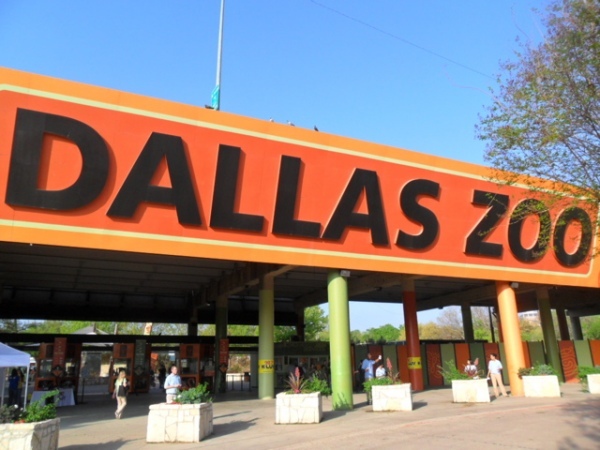 The Dallas Zoo continues to have issues keeping it's great apes in their enclosures. According to a report on the KWTX website, a large female chimp somehow escaped her enclosure and made a bid for freedom last Tuesday. Dallas Police Sr. Cpl. Sherri Jeffrey said officers were summoned to the zoo at approximately 10:20 a.m. Tuesday after zoo officials notified them that a large adult female chimpanzee had gotten loose. Zoo and city officials quickly closed down the "Wilds of Africa" exhibit and moved visitors to other areas of the complex. Zoo officials were able to tranquilize the chimpanzee and recapture it. The zoo’s deputy director, Lynn Kramer, says that the chimp is fine and that she and her crew are trying to determine how she was able to escape her enclosure. No details on the dimensions or design of the chimpanzee enclosure were mentioned in the KWTX report. As I alluded to in the opening paragraph, this is not the first time the Dallas Zoo has had a large primate escape. In 2004, a male gorilla managed to scale a 14-foot cement wall to escape his enclosure. Once out of his enclosure, the big male found himself right in the middle of zoo visitors and attacked three of them before police shot and killed him. This situation could have been just as tragic. 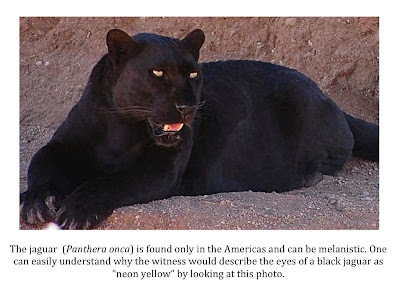 One need look no farther than this 2004 event or the tragic incident that recently occurred in Ohio to know what fate usually awaits any sort of escaped exotic animal. While zoo officials were quick to point out that, this time, their escaped primate never left an area that was closed to the public, this situation could have had a very unhappy ending for all involved. 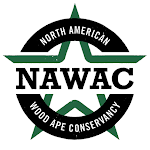 Two great ape escapes in the last 7 years at the Dallas Zoo are simply unacceptable. For the sake of the public and the great apes being housed there, I hope the Dallas Zoo gets it's act together. I thought I would update all of you on my ongoing camera project here in Bell County, Texas. As regular readers of this site will recall, this project was a direct result of two horse kills that occurred in the NE portion of the County just outside of Temple, Texas. 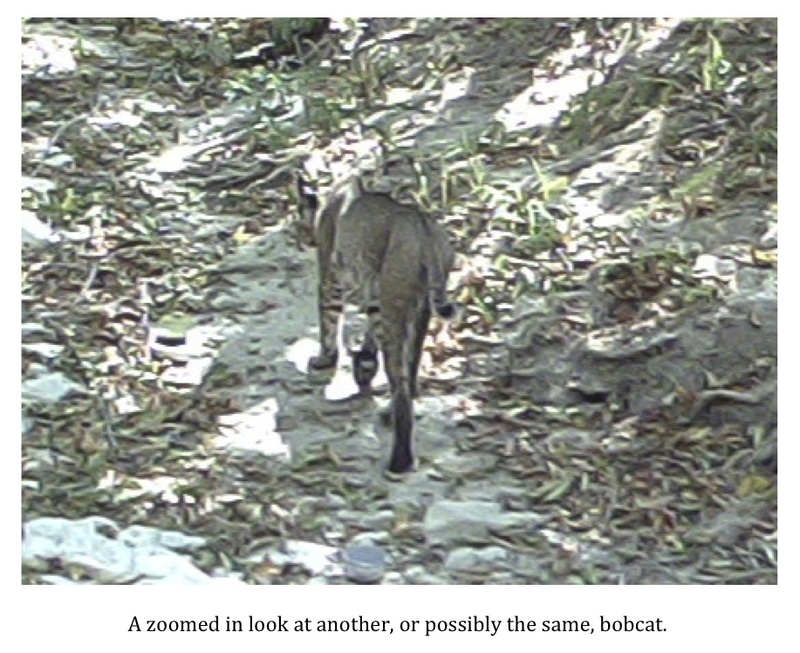 I was contacted by a reporter from the Temple Daily Telegram and asked for my opinion on whether or not a big cat might be responsible for the kills. The reporter then put me in touch with the landowner who gave me permission to put cameras up on the property in the hopes of getting a photo of the predator responsible. 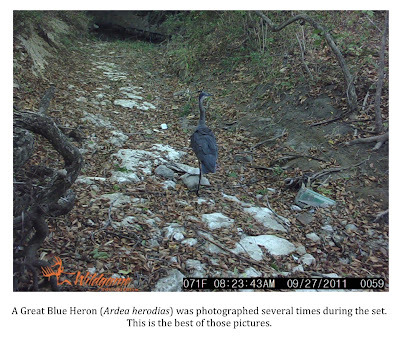 Within a couple of weeks I received two more requests from Bell County landowners, who were seeing and hearing some unusual things, to place cameras on their property. In short order, I had one camera up in West Bell County just South of Killeen, Texas where, according to a local television station, a mystery predator was killing small livestock, two cameras up on the property in the NE portion of the County where the horse kills took place, and one more camera up on property about a mile away from where the horses were taken. It turns out the owners of this property had lost a horse themselves about a month before the more well publicized killings. 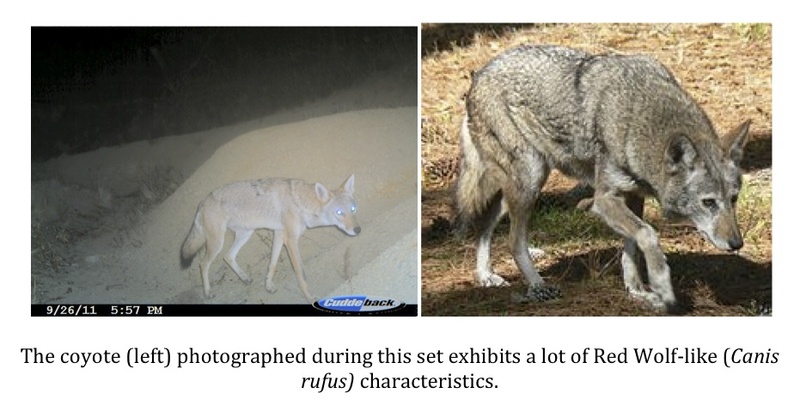 While all of this was going on, multiple mountain lion sightings were reported in the vicinity. 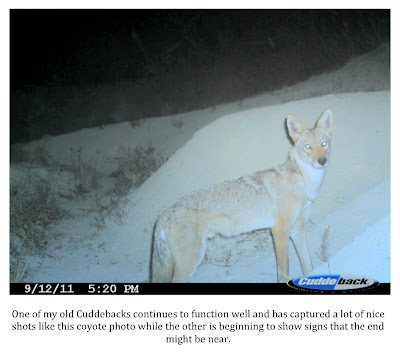 Several anecdotal reports filtered in to me, the Temple Daily Telegram, and the local Texas Parks & Wildlife Department office. Finally, a sighting of two mountain lions just North of the site of the horse kills, near Troy, Texas was reported and deemed credible by officials as the big cats left behind tracks. Not too long after the Troy sighting, a cougar was spotted in, ironically enough, Lions Park in South Temple. While likely a different cat, probably following the Leon River, this sighting put “Cougar Fever” into full gear in the area. 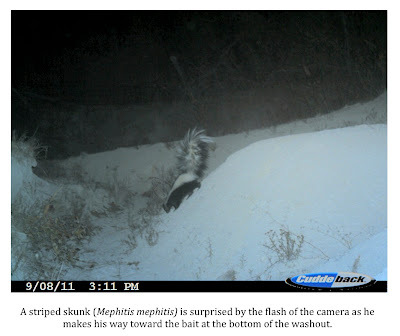 The camera in West Bell County, to this point, has not captured anything unusual. The last time I had it out, however, it malfunctioned and failed to take any photos at all. This is one of my older Cuddeback cameras that has been a workhorse for me. I have not really had time to tinker with it yet but am hoping it is nothing more than a bad card. In any case, in the two months prior to this failed third set I only managed to take pictures of cattle. I do want to try one more time as the property owners and I located a really promising looking area that even they had been unaware of previously. Here’s hoping I can get that camera functioning. I have had two cameras out on the property where the horse kills took place. As I mentioned previously, there have been multiple sightings of a pair of mountain lions in the immediate vicinity which, in my mind, all but seals the deal that they were the culprits in the deaths of those two horses. The land is pretty much rough pasture only, however, and doesn’t provide much in the way of cover. There is a creek bed that runs through the property but it meanders really close to the owner’s residence. It is deep enough for something to pass through unseen but is choked with vegetation, debris, and old barbed wire. These factors don’t make it an especially attractive travel route, in my opinion. There are several washouts where gulleys have been formed by runoff. This is the spot where most of the coyote pictures have been taken and I’ve had the most luck; however, it is pretty open country. I’m guessing whatever attacked those horses was strictly passing through and took advantage of an opportunity. I don’t think the predator(s) have taken up residence on or near this property. The third location, as I mentioned above, is only a mile or so from the location of the horse kills. It is a much more active location. There is a very wide and deep creek that wanders through the property. It is easily ten feet deep or more in most places with a rock bottom. There are several deep holes that have, despite the terrible drought we’ve been suffering, held water all summer long. This location, though the last I gained access to, seemed to hold the most promise. 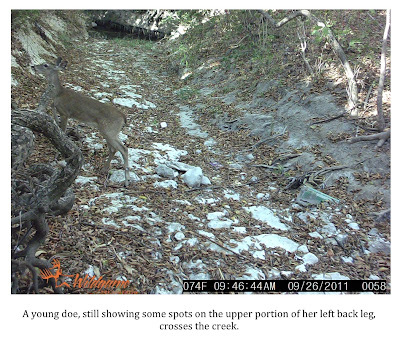 The creek bed really reminded me of a creek in the Sam Houston National Forest in which TBRC Field Operations Coordinator Daryl Colyer and I found barefoot humanoid tracks back in May of 2010. That creek, dubbed “Barefoot Branch” by TBRC members, has proven to be a sort of wildlife highway. 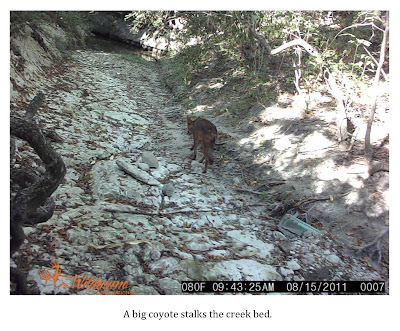 My hope was that this creek bed in Central Texas would prove to be the same. I’ve not been disappointed. The location has easily been the most productive of the three and has yielded well over one hundred photos in the last six weeks. The creek actually runs under a major highway only a mile or so from the camera location. I’m guessing that any wildlife in the area that needs to move East or West and get across the highway is using this creek to do so. If those mountain lions are still in the area, I really think they’ll show up in this creek bed sooner or later. 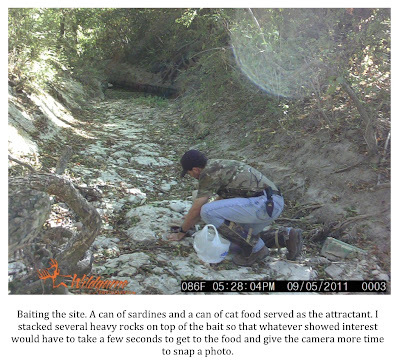 The plan for now is to get all the cameras cleaned up and functioning properly and then deploy them all in this creek bed. I want to spread them out over roughly a quarter mile stretch of the creek and find out just exactly what is coming and going here. Again, if those big cats are still here then I feel like they will show up here sooner or later. 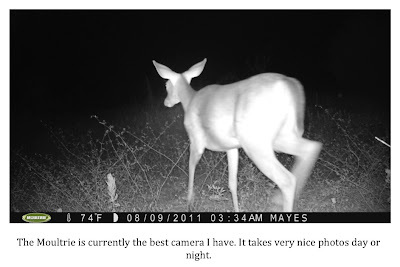 I hope to get these cameras in place this coming weekend. 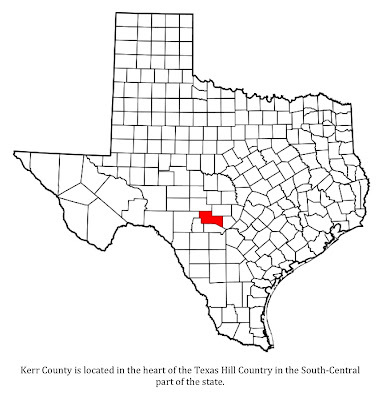 The pictures featured in this post are all from the Bell County project. I have many, many more photos but these are some of my favorites and are representative of what I'm seeing out there. I hope you enjoy checking them out as much as I’ve enjoyed getting them. I’ll update again once I get the cameras placed. 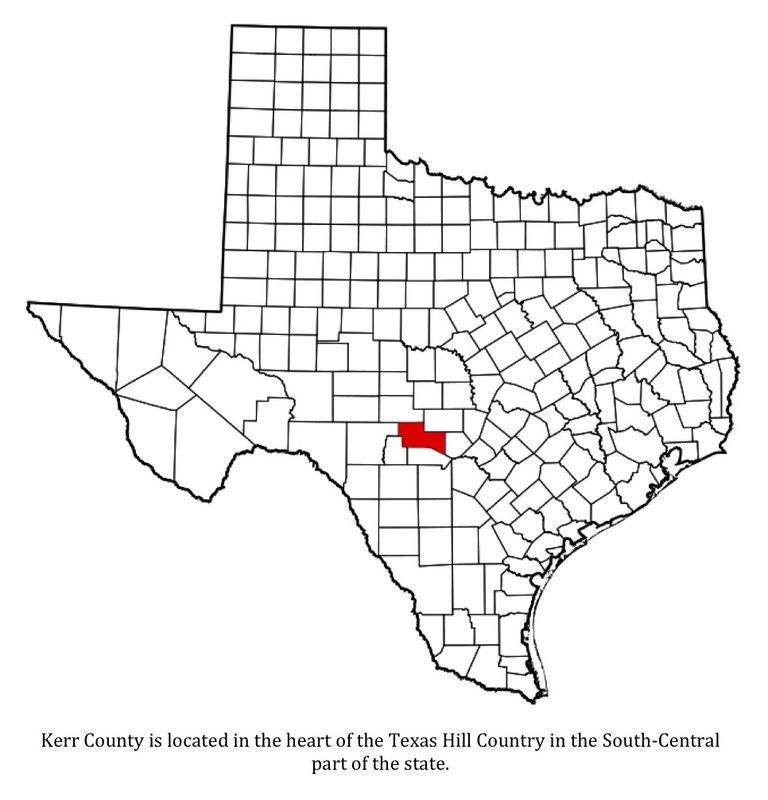 "I was born in 1949 in Kerrville, Texas, as a boy in the 1950's my dad worked as a ranch hand at several ranches in central texas, also called the hill country. As a boy he hired on one year at a ranch just out of Hunt Texas. His job was taking care of a guest ranch. He did carpenter work on the guest cabins, fixed what ever needed fixing and took care of around a hundred horses. Now towards the end of summer and the approach of fall and the up coming deer and turkey season the owners had him take two 50 pound sacks of corn by horseback to a certain area several miles into the cedar covered hills. At a certain spot we (I got to ride the second horse carrying corn) would leave the corn all layed out for several feet. One day as we were putting out the corn, I had noticed a small well hid shack about a hundred yards from us. When I asked my dad about it, he said he had built it for the hunters that would be coming before long from the big cities to hunt deer and turkey. He said the owners guaranteed the hunters a deer. I told him that since we had been coming up with the corn for several weeks now the deer didn't even run from us any more and that shooting them would kind of be like shooting fish in a barrel and that at that range I could probably kill one with a rock. He just smiled and said, "Don't seem right, do it boy?" but like I said, they guarantee them big city boys a deer. Now late one afternoon after we had dropped the corn off and was about half way back to the barn our horses started going crazy, snorting, crow hoping, and trying to turn back. My dad turned around to me and said, "Hold his head up and keep a tight reign, cause your getting ready to see something." It wasn't even a minute after he said that, when a pair of black panthers ran right onto the trail in front of us not 30 feet away. I can remember it like it was yesterday, the horses going nuts, and then staring at something I had only seen once before and that was at night. This was broad day light and up close. As I looked at them, I remember there neon bright yellow eyes first, then how they were hunkered real low to the ground. I would say the second thing I noticed was the size. 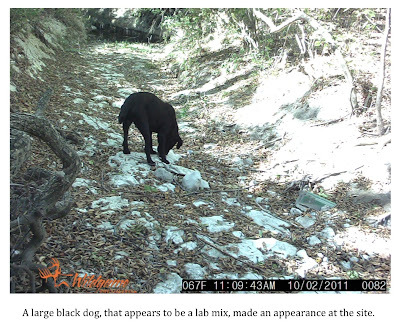 They were pretty darn big, about the size of a small mountain lion, jet black with the long mountain lion like tail. They only stayed about 10 seconds at most, then was gone as fast as they came. After we finally got the horses to settle down and I had time to ask my dad what the heck I had just seen he said, "That was a pair of yearling Black Panthers." Now my Dad was a real Texas cowboy, as was his, and his before him. He didn't talk a lot but when he did what he said was sure worth listening to, and I never knew him to lie are stretch the truth. Like I said, this was the second time I saw a black panther as a boy. So if you want to believe they're not there, well, I suppose that's your right, but as for me, I know better. This by the way is the same area I use to wander off for a bit while my dad was putting out the corn and play pushing sticks and leafs across a giant 3 toed foot print set in solid stone, only later in life did I come to know what I had been playing in. P.S. Even to this day I could go straight to that spot. If you doubt what I'm saying, I now live in Oregon." Of course, I have no way to verify this account. Chuck could be pulling my leg, I suppose, but he did leave his full name and email address which certainly adds to his credibility, in my eyes. I certainly find no reason to doubt his truthfulness based on what he wrote. I will be emailing him to see if there are any additional details regarding this, or other, sightings. I appreciate his taking the time to write out his account. 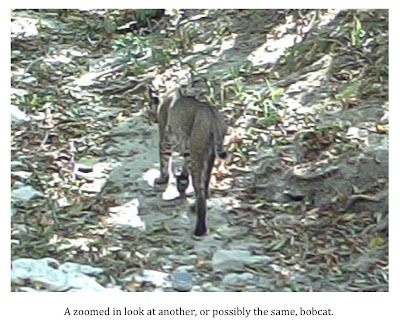 As always, I'd like to hear about any big cat sightings from the Texas, Oklahoma, Louisiana, and/or Arkansas region from readers of this site. 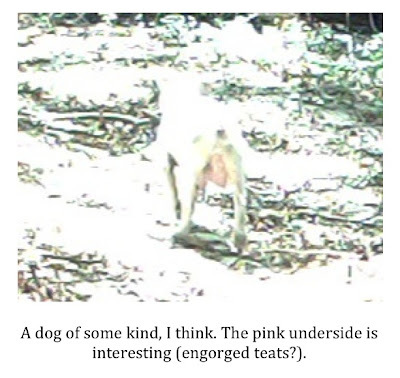 Even if the sightings occurred years ago, I'd like to hear about them. Just email me at Texascryptidhunter@yahoo.com. I have decided to end what may be the shortest “retirement” ever this side of Brett Favre. I’ve had a bit of an epiphany regarding the blog and my efforts to keep it current. 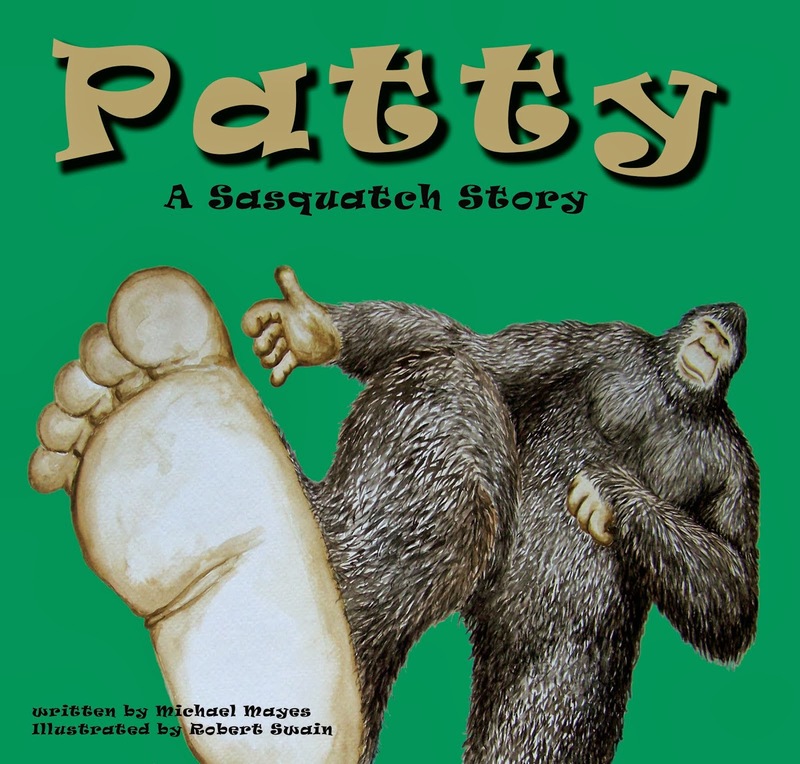 I started the site simply because I’d had an unusual experience and was very interested in the topic of bigfoot and all things “cryptozoology.” An awful lot of sites on the internet that delved into these topics seemed a bit “out there” to me and I thought there was a void out there in cyberspace when it came to sites that treated this subject matter seriously and objectively. Don’t misunderstand. I don’t mind anyone thinking that bigfoot is an extraterrestrial shape-shifting telepath that can hop in and out of different dimensions. If that is their opinion, that is great. I just don’t happen to lean that way. I believe there is a biologically based explanation for the sasquatch phenomenon. Period. There aren’t a lot of sites out there that take this position. I hoped to provide a site where open-minded people could hear a voice from this side of the debate. The blog had become work. I felt pressure to produce something of high quality every two days or so. My schedule is such that this became a burden on me. I started to resent “having” to get something written up. I think it showed and the quality of the posts began to suffer. I decided that if it was no longer fun and the quality of the posts were not up to my standards it would be better to just drop the whole thing. As I mentioned in my “signing off” post, I’m pretty taxed physically this time of year and that, no doubt, played into my state of mind as I considered whether or not to continue. Truer words have never been written. The “upper echelon” to which the Blogsquatcher referred is truly something. Certainly, his words do not apply to everyone but if you were to print up a “who’s who” list of well-known, notice I didn’t say well-respected, “researchers” you would be lucky to count a dozen or so that are sane, honest, decent, and not in the field in the hopes of making a buck. More prevalent than the charlatans hoping to make some money off the sasquatch enigma are those who are involved simply for the social aspect. They travel about to each other’s meetings, conferences, and symposiums to visit, sing songs, and pat each other on the back for being awesome. Very little actual field work is done by the majority of these folks. They do not; however, have a problem condemning and belittling the efforts of others. Worst of all, I strongly suspect that most, if not all, of these people have no interest in solving the bigfoot mystery at all. If the riddle ever is solved then they will no longer have a reason to get together. They have found a niche. They have found their religion. They will, and do, attack those who seriously seek answers as it threatens their way of life. The followers of these folks are pretty unbelievable as well. You would not believe some of the emails and comments I get on the site. The level of vulgarity and mean-spirited bologna that came in day-to-day, even on what I would consider the most innocuous of posts, would blow your mind. I spent a lot of time and energy trying to have reasonable exchanges of dialogue with these folks. It never seemed to do any good and the negative exchanges far outnumbered the reasonable ones. I found myself taking on almost a siege mentality. I knew that I shouldn’t let the ignorant comments of a few anonymous knuckleheads get to me but after awhile that is exactly what happened. I just got to a point where I was like, “I don’t need this crap.” I began to take it personally. Finally, somebody gave one of my kids a hard time about the site and my interest in the subject of cryptozoology. While I’ve never made any efforts to keep my identity a secret, neither have I actively publicized it. I’m in no way ashamed or embarrassed by my interest in any of this. Personally, I find it amazing that everyone isn’t interested in all this stuff. It was a bit sobering, however, to know that my interests in these topics were causing my daugher hardships at school. What decent parent would not be affected by that? There are a few more things I could mention but that covers the major issues I was dealing with. So, what has changed? Why did I decide to come back so quickly? I’m glad you asked. As I mentioned above, I believe that there is a biological entity responsible for the sasquatch phenomenon. There aren’t many sites carrying this particular torch and I began to think it bordered on being irresponsible to leave the blogosphere entirely to those with a more esoteric view of what is behind the sasquatch mythos. Again, don’t misunderstand, I have nothing against folks who believe differently than I do. I just haven’t experienced anything, or talked to witnesses who have, that has led me to believe anything other than a flesh and blood animal is responsible for the sightings of large, upright, hair-covered bipeds that continue to be reported from around the world. This view needs a voice. Next, I decided not to let the idiots who continue to hammer away at me with negative emails and comments win. Call it stubbornness on my part but I decided I wouldn’t go out that way. It is tiresome and taxing to continually deal with some of these people who are emboldened by the anonymity the internet provides. I keep picturing 30+ year old guys still living with their mothers as the culprits behind the most ignorant of the emails I receive. That may not be true but it makes me feel better to think of them this way. Anyway, I’ll not be trying to hold intelligent dialogue with these folks anymore. I’ll simply be hitting the delete key. If you have followed the site at all you will know that I don’t publish only comments that are complimentary or that agree with my position on a particular topic. It is fine to disagree with me and as long as the comment is civil in tone it will be published; however, turds need not bother from this point forward. Another reason that I have decided to hang in there is that several things are going on now that I’m keeping a very close eye on. I want to make sure there is at least one outlet out there that can, and will, tell the truth, warts and all, regarding these things. I do not mean to be cryptic and will enlighten you all when the time is right regarding the things I’m referring to. Simply put, I’m not going to walk away and leave the dissemination of information regarding these things to lard-assed wind bags that have axes to grind and are more than willing to take things out of context, tell half truths, and spread rumors and/or flat out lies. Finally, and without a doubt, the biggest reason I decided to continue writing the blog is because of something my daughter said to me. She told me that she didn’t want me to stop doing what I enjoyed because some jerk at her school had been rude to her. She appreciated my wanting to protect her but assured me that she was a big girl who could take care of herself. “Besides,” she told me, “I think what you do is cool.” Needless to say, I’m a pretty proud Dad and that is all I needed to hear. So, I’m back and will continue throwing my two cents out there regarding bigfoot and any other weird or out of place animals. I have promised myself not to let the blog become drudgery so I may post a little less often but I guess I’m here to stay. Looks like you guys are stuck with me. I have decided to stop writing the Texas Cryptid Hunter blog…at least for a while. I am just flat worn out. Right now I am at a stage in life where I have a lot of things tugging me in different directions. This certainly does not make my life any different than that of many others but I am finding it difficult to devote the time and energy it takes to do the blog right at this time. If I’m going to do it I want to do it right. Right now, well, I just don’t seem to be able to do that. That being the case, I’m going to take a break. I’m going to leave the site up so that anyone who wants to can peruse old posts. I will continue to monitor my email and will be glad to answer questions and help anyone in any way I can that takes the time to contact me. If asked right now I would guess that I will likely be back at some point. I plan to continue my pursuit of out of place animals and certainly my interest in cryptozoology and the natural world has not waned. There have been some incidents lately that have discouraged me a bit but I know that these things come and go. I was already thinking of taking a hiatus so these things did not sway me in any way. Neither, however, did they make me second-guess my decision. So, for now this is goodbye. I want to thank each and every person who took the time to stop by and visit my site from time to time. 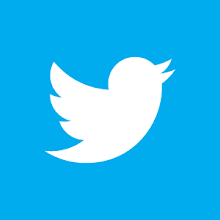 It is very flattering to think that people out there are actually interested in the things I have to say. I will see you all down the road. Until then, my very best to you all.